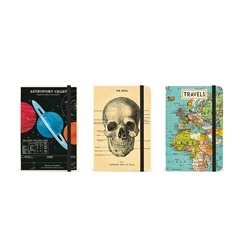 A signature product since 1989, this notebook has remained a Cavallini staple. Each notebook features 256 classic cream lines pages with an elastic closure, great for your everyday travels. Measures 4" x 6".